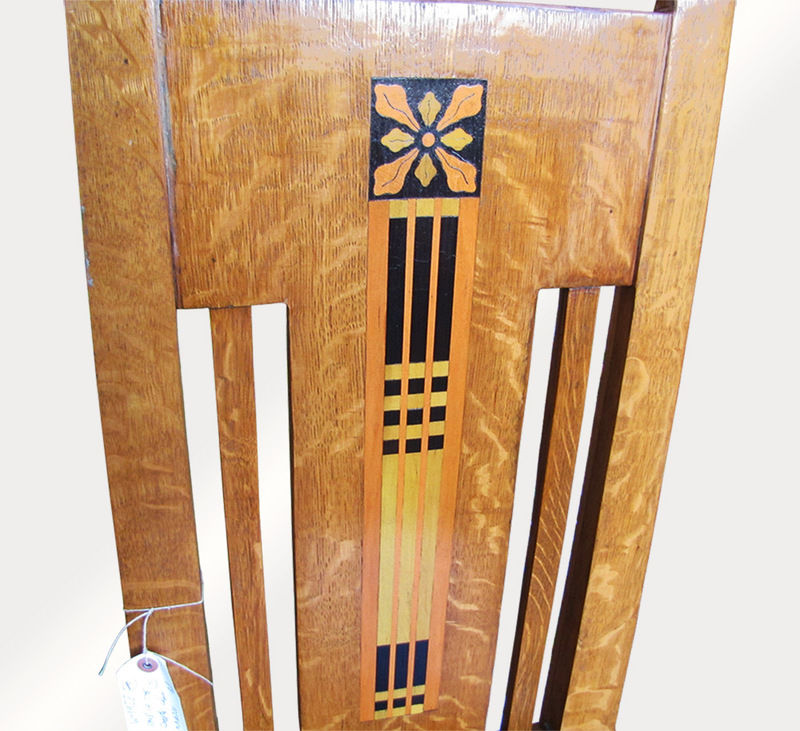 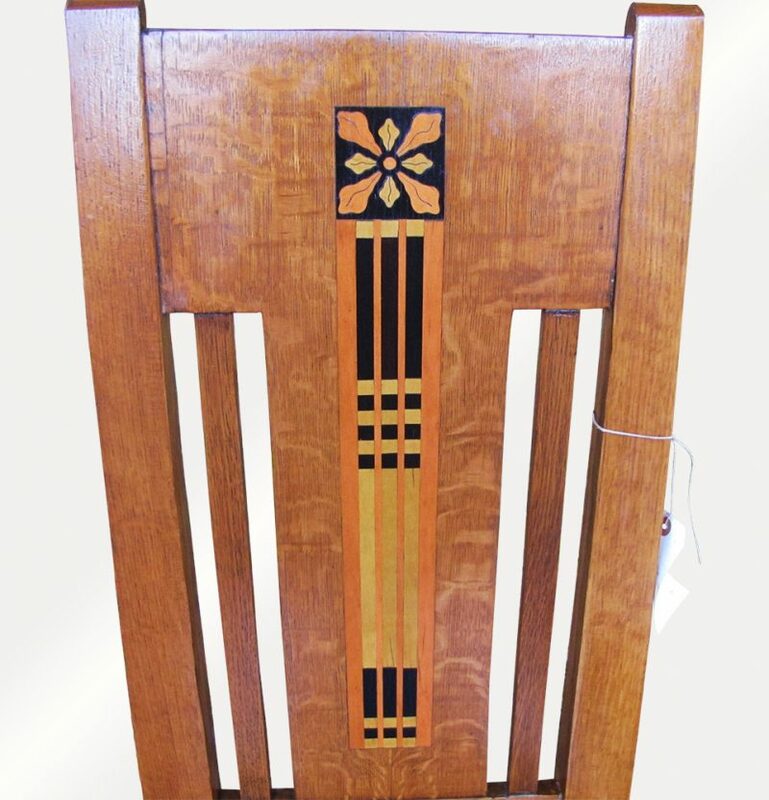 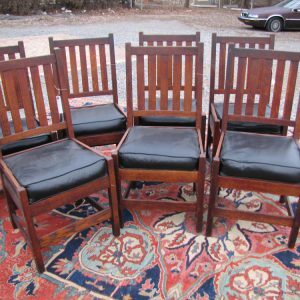 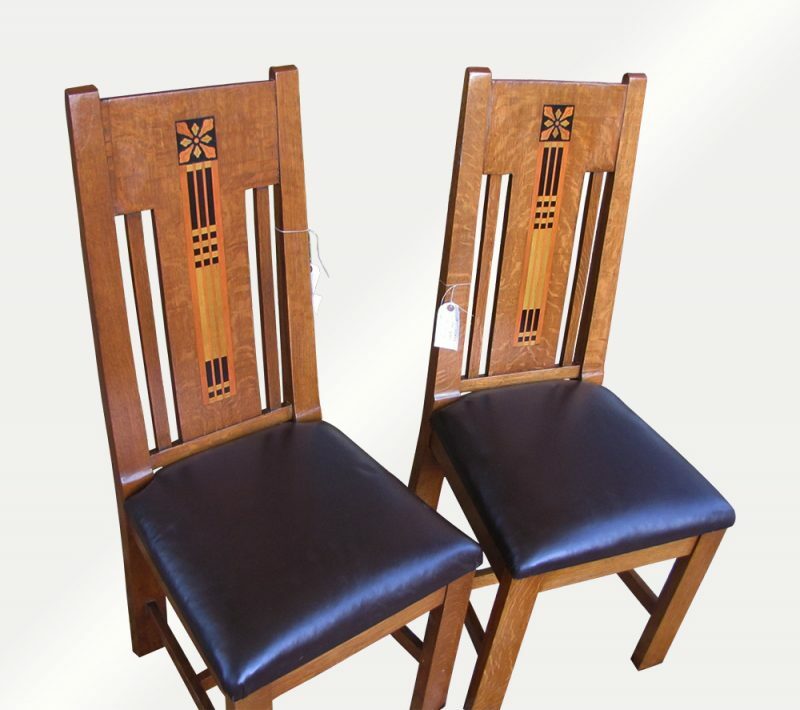 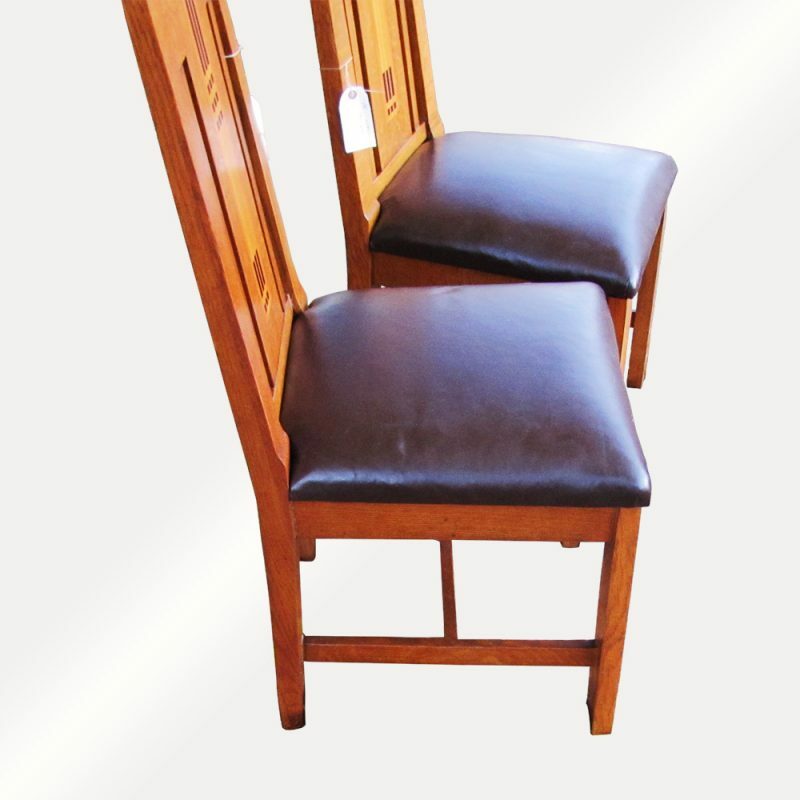 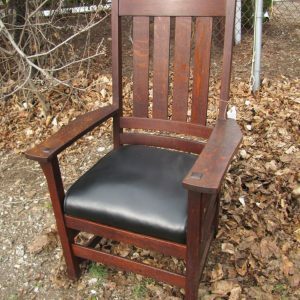 This is a great looking shop of the crafter pair of side chairs in very good condition with inlay. 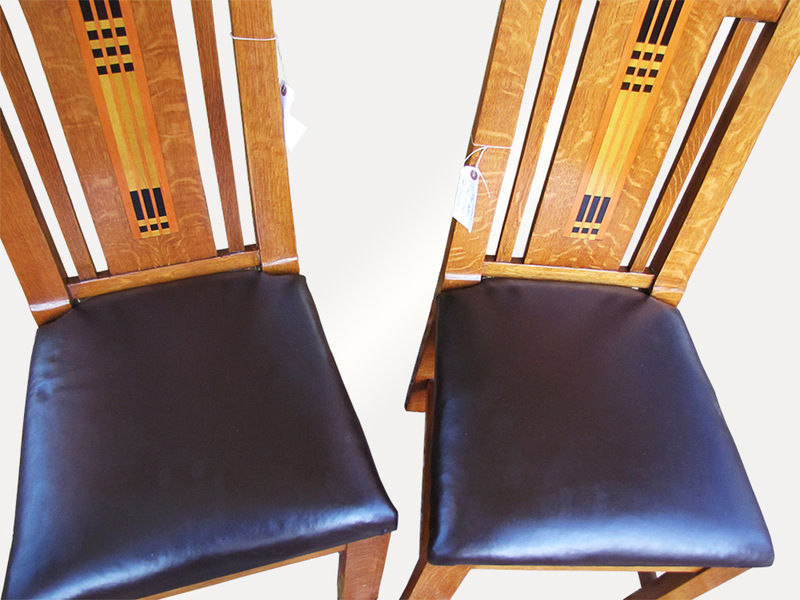 The inlay on these chairs are almost always with heavy damage but not on these chairs, they are in good condition as you can see on many images. 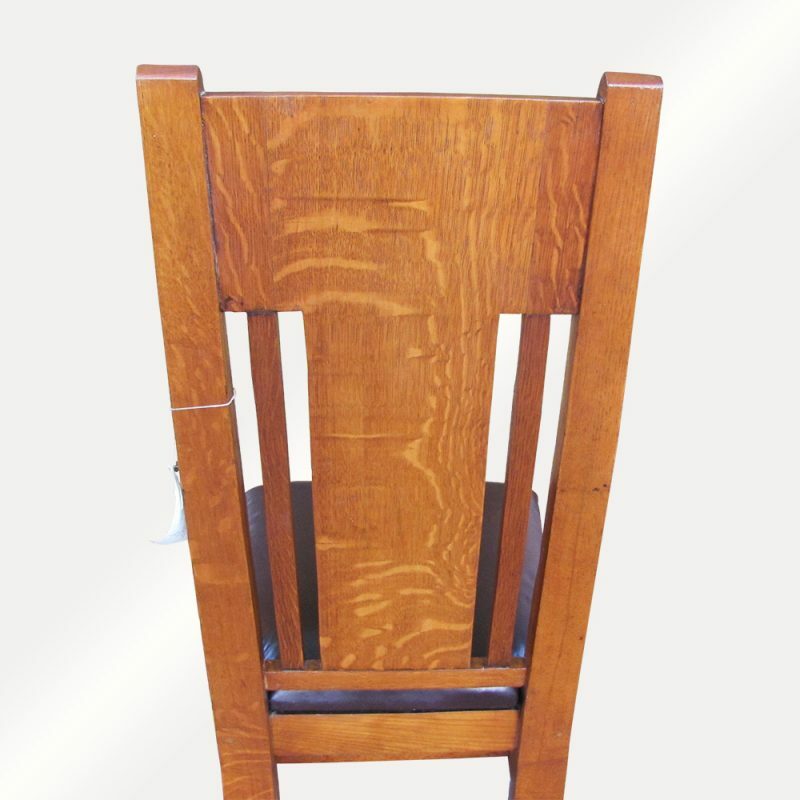 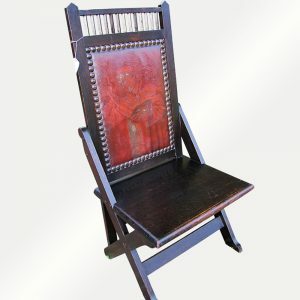 We do have a large collection of this artist shop of the crafter furniture, and all in good condition around one dozen pcs that you will not find in any other dealer. 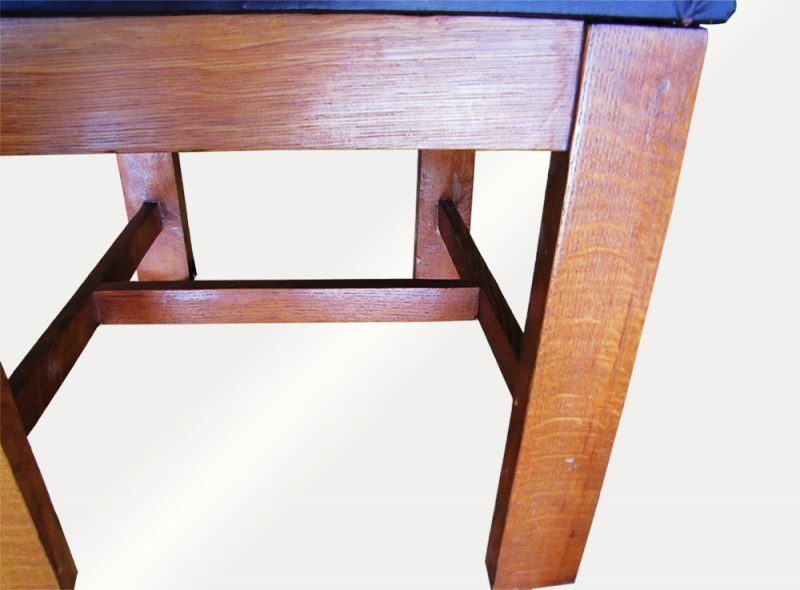 We also have important lib table with original finish, one with decoration and the other plain and both are with thru tenon keys construction. 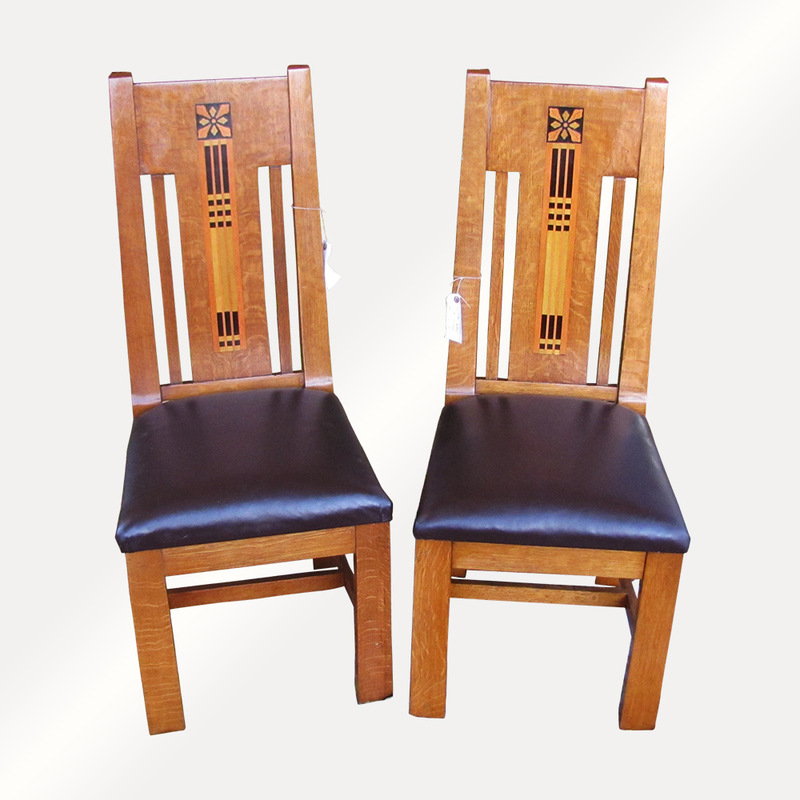 We guarantee 100% they are with kew’s thru tenon construction and they sturtdy and strong and all original. 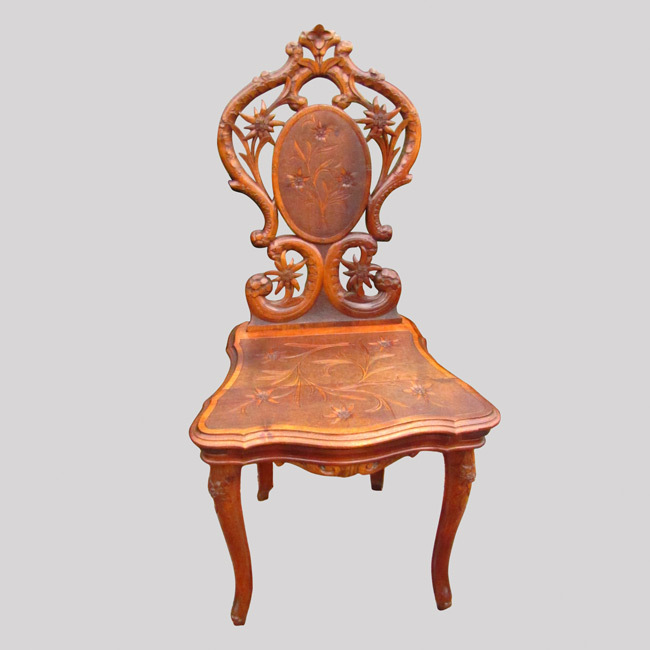 You can come to our shop and see all we have , we do not post all our furniture and will give you a better price for several items.